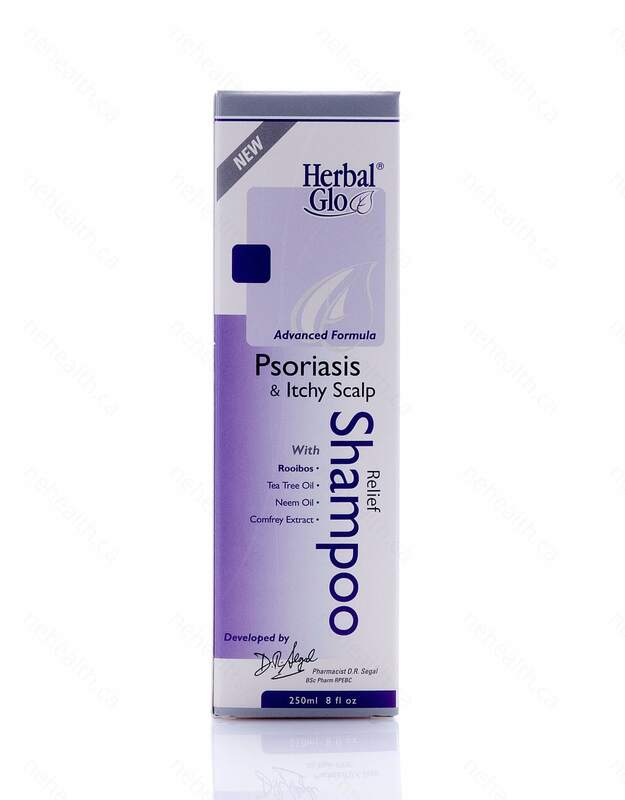 Herbal Glo Psoriasis & Itchy Scalp Relief Shampoo is designed to relieve the itchy, redness, irritation and scaling associated with psoriasis of the scalp. 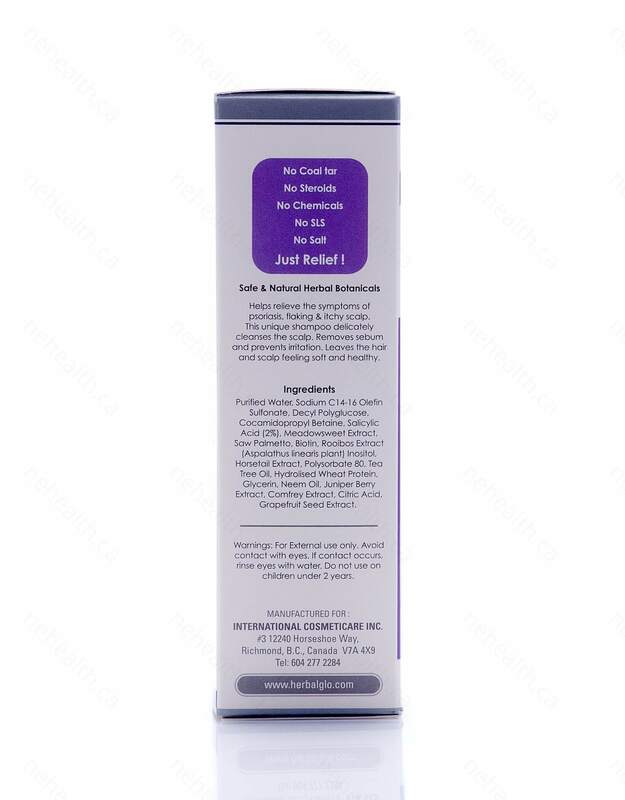 It is an enriched formula of the most effective ingredients such as tea tree oil, neem oil, rooibos extract, comfrey extract, juniper berry extract and grapefruit seed extract. 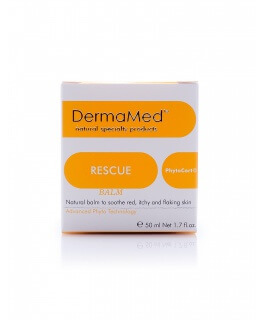 These ingredients remove sebum, revitalize the scalp, comfort irritated skin and itchy scalp. 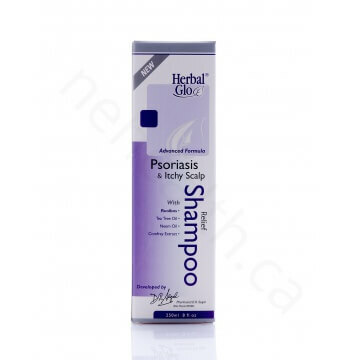 Herbal Glo Psoriasis & Itchy Scalp Relief Shampoo contains salicylic acid which is a proven ingredient that cleanses and breaks down flaky scalp buildup, excellent for people with mild to severe psoriasis problem. 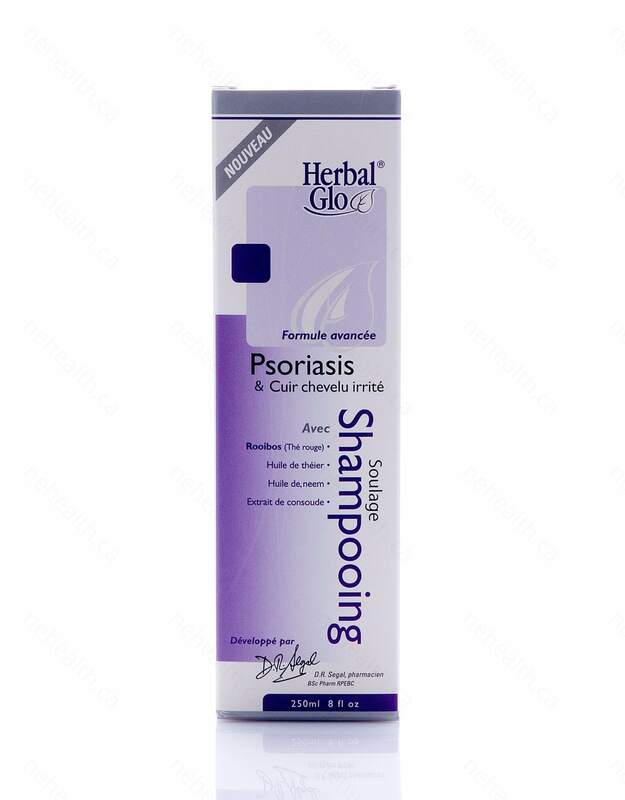 Daily use of this shampoo will leave your hair and scalp feeling soft and healthy. 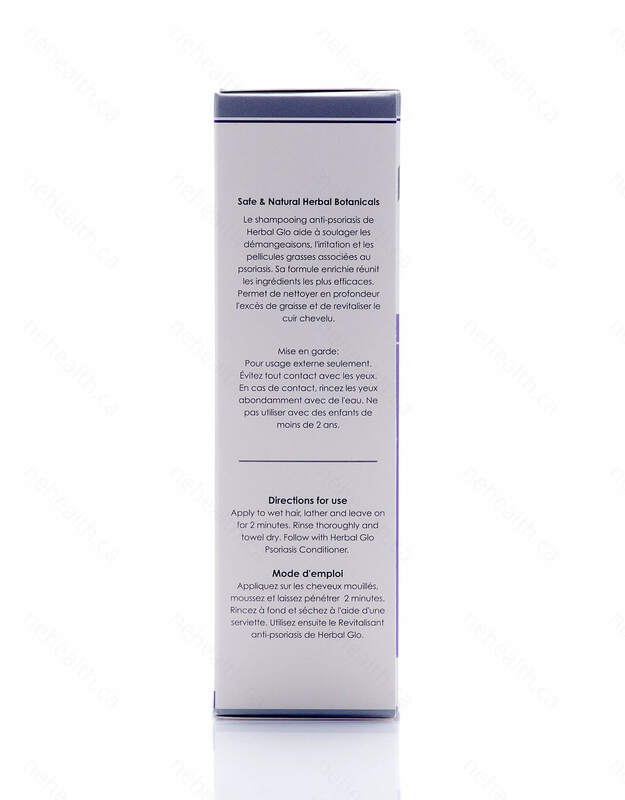 Purified Water, Sodium C14-16 Olefin Sulfonate, Decyl Polyglucose, Cocamidopropyl Betaine, Salicylic Acid (2%), Meadowsweet Extract, Saw Palmetto, Biotin, Rooibos Extract (Aspalathus linearis plant) Inositol, Horsetail Extract, Polysorbate 80, Tea Tree Oil, Hydrolised Wheat Protein, Glycerin, Neem Oil, Juniper Berry Extract, Comfrey Extract, Citric Acid, Grapefruit Seed Extract. Apply to wet hair, lather and leave on for 1 or 2 minutes. Rinse thoroughly and repeat if necessary. 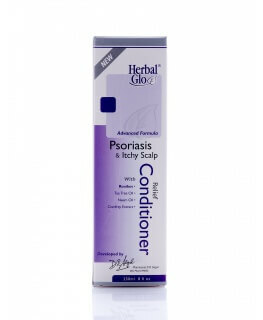 Follow with Psoriasis & Itchy Scalp Relief Conditioner. Caution:For external use only. Avoid contact with eyes. If contact occurs, rinse eyes with water. Do not use on children under 2 years.